First off, we'd like to apologize for taking so long before posting this update. But, we have a wonderful reason for being away from the computer recently. We just welcomed the newest member of our family into the world on August 11, 2013. If you would like to hear more about baby Nkoni, please have a look here. This summer's project has gone very well indeed. We have received many photos from Peguy, and we share those with you below. 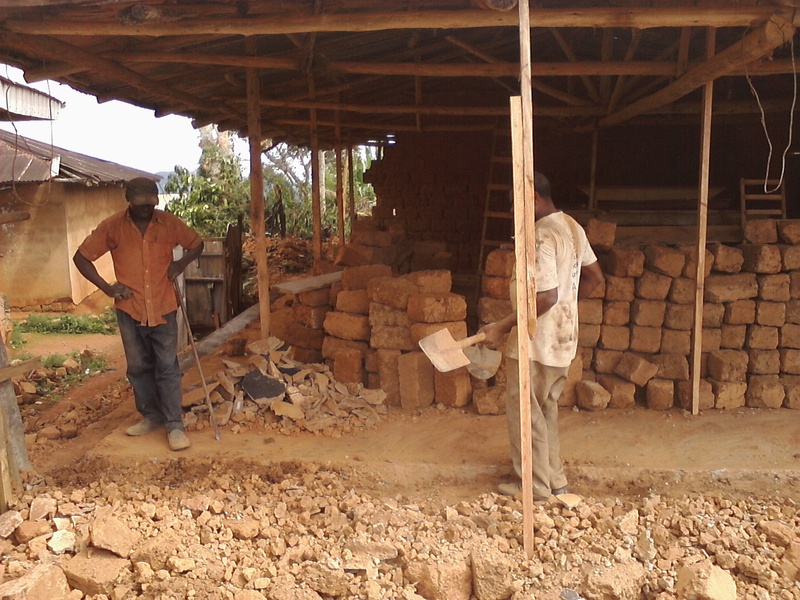 The last time we heard from Peguy, the finishing touches on the school were on hold until the rain stopped, so we expect some final photos of the finished work any day now. The upgrades this summer rehabilitated the remaining school buildings for the main school site. We're really impressed with the quality of work! They were able to accomplish a lot thanks to your generous support! Also, later this month we will be talking with the school about getting their small business started. We had a very successful Indiegogo Campaign, and although we didn't raise the full amount, together we raised enough to give the small business a great start.